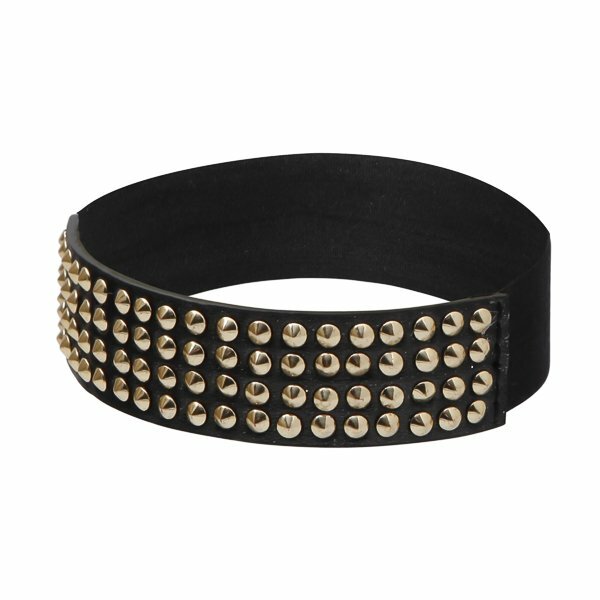 Explore your rock n’ roll side with this brilliant 100% vegan leather footband encrusted with rows of brilliant studs. Stretch the band around your foot, put on your favorite shoes and give King Midas a run for his money. 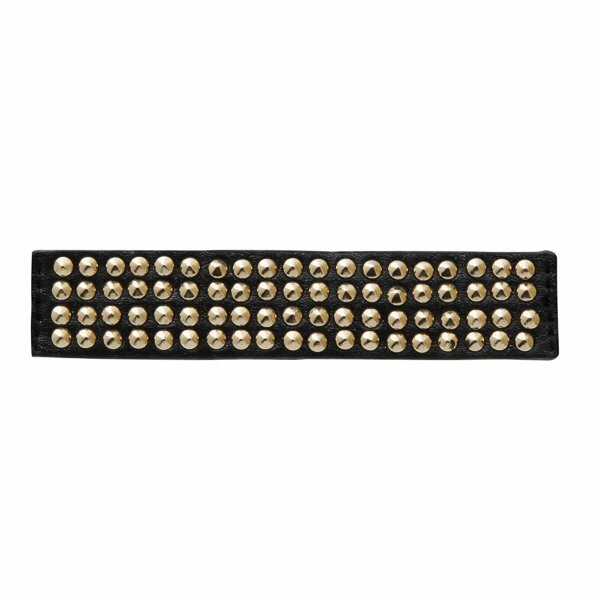 Rebel Jane Shoecessories™ are made from 100% vegan leather embellished with four rows of metal studs; it is backed with black PU with a soft black elastic band. Measures ¾”wide. Fits most size feet.